The 100-year mark for custom stained glass windows is here. Most of this countries customized stained glass windows were in the 1920s and 30s and barring any problems due to accidental breakage or poor craftsmanship, need to repair or restored too. If you have stained glass windows on your home and your home is over 80 years old, the chances are your stained glass is custom and it may be time to have it inspected, restore and cleaned. At the very least, it is time to inspect it yourself and see if the telltale signs of needing restoration are there. Below are the signs to look for on the custom stained glass windows to give you an idea if your windows need to be repaired or just thoroughly cleaned. 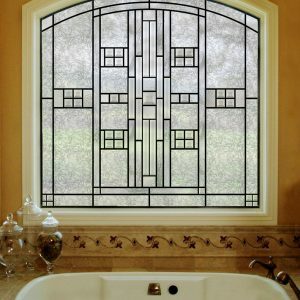 As it were, stained glass is an extremely strong and durable material, relatively immune to deteriorating due to natural aging. American glass is very stable because of the composition of the glass used here in the states. However, this does not mean that stained glass cannot be damaged or tarnished by elements. 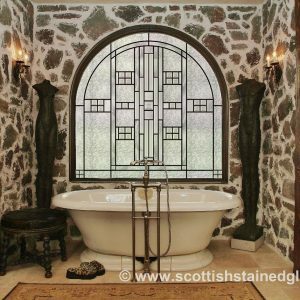 Some signs the custom stained glass in your home needs repair are scratches, chips, and abrasions–which also take reduce clarity. Chemical agents and smog also build up on stained glass and make it appear old and dingy. If your glass looks cloudy or dull, this is likely the culprit. Of course, broken panels are a definitely a sign your glass needs professional help and should be dealt with right away since this will lead to much worse problems or total failure of the glass. If you see broken glass or missing panels on your stained glass, it is absolutely time to have it restored, because more damage is soon to occur. The biggest breakdown of stained glass is through its skeletal structure that keeps each piece in place. This includes wood frames and lead caming. Both of these structures can rot, deteriorate or sag. If you see this the stained glass frames or caming are approaching total failure. You need to fix it right away or entire pieces could fall out or the window could collapse. When caming starts to fail, you will see missing, bent or broken pieces and probably cracking on the glass near or connected to the frame. In this condition, the stained glass could fall out from a simple strong wind or vibration. Even though stained glass probably needs restoration around 80-100 years of age, sometimes stained glass, even very old stained glass is fine and just needs a deep and thorough cleaning. Stained glass cleaning is a fairly inexpensive and fast but is a procedure that will bring it right back to its original luster. The reason stained glass gets so dirty is environmental; soot and grime build up on both sides of the glass from things like pollution, smoke, and oxidation. 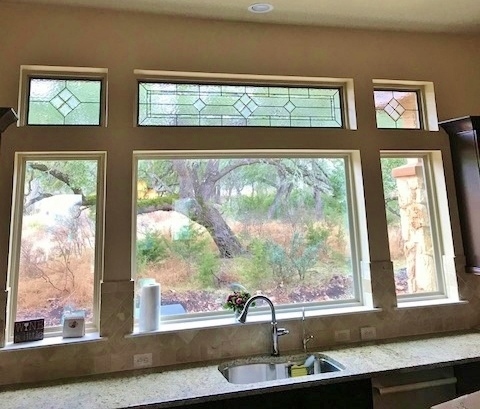 Keep in mind you should always have a professional stained glass company clean your older stained glass is because aggressive cleaning or cleaning with the wrong chemicals will cause damage, permanently affecting your glass’s transparency and/or shine. Regular cleaning is also necessary to avoid build-up of chemicals or air pollutants which could lead to long-term damage. Contact us at Stained Glass to have your stained glass inspected by a true professional today!